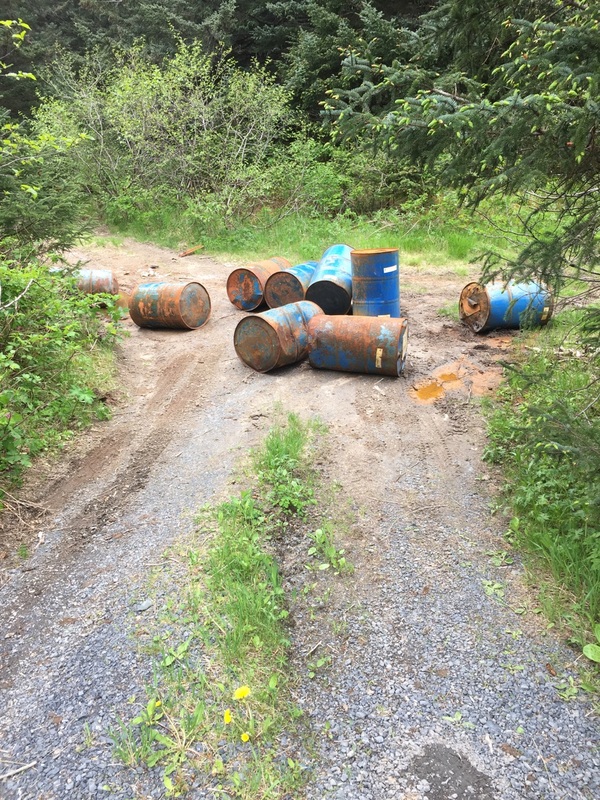 Sometime between 5pm on June 2, 2015 and 11am on June 3, 2015, fourteen drums of hazardous waste were dumped on a trail near the Monashka Bay Reservoir. At present the contents are unknown and all of the barrels have been safely removed and contained. There was no spill involved, however this illegal dumping could have caused serious environmental damage. The costs to remove, contain and dispose of this hazardous waste is estimated to be in the $1000's. It appears a dual-wheeled (dully) truck was used to transport the barrels to the site. If anyone has information please contact Kodiak Crime Stoppers at 907-486-3113. On April 25, 2018 the Kodiak Police Department received a report that the water tank was stolen from the 1100 Block of Larch Street. The value of the tank is $500. If someone has seen the tank or has any information on it's whereabouts, please call the Kodiak Police Department at 486-800 or Crime Stoppers at 486-3113.